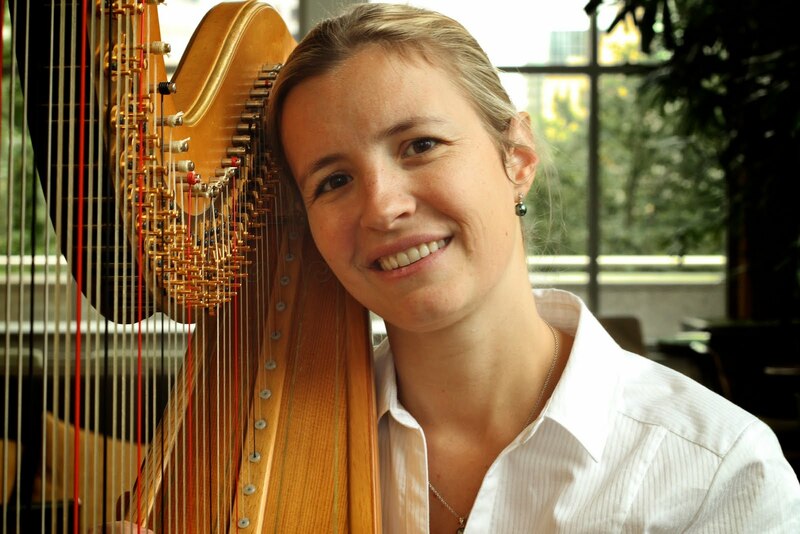 Seattle Opera's upcoming performances of Lucia di Lammermoor will bring harpist Valerie Muzzolini Gordon’s 10-year Seattle career full circle. 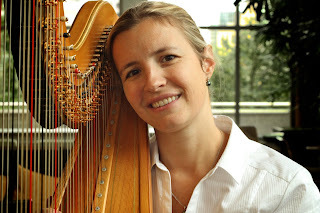 Her first season with the Seattle Symphony also involved the harp solo in Seattle Opera’s 2000 production of Lucia. A French native and new mom, Gordon spoke to Seattle Opera's Jessica Murphy about improvisation in opera, playing for babies, and her rapid-fire repertoire. Your harp solo introduces the character of Lucia in Act I Scene Two. Traditionally, harpists don’t always play what’s printed in the score at this point in the opera. Why is this the case? Lucia is not a ton of music for the harp, but it has this really major cadenza. Cadenzas in some operas can be very straightforward, and you just play them as is. But especially with Italian opera of that period, it’s a little bit more flexible. The same way, I believe, that the sopranos do some improvisation. There are several renditions of this cadenza by different composers, and some by harp composers. If you only play in the first act, what do you do for the rest of the opera? Especially now that I have a baby, I’ll just come home to her. Staying in the pit without disturbing anyone can be a little challenging. You don’t see what happens onstage and you have to be really quiet. In Parsifal, I only played in the beginning of the third act, but I love the music so much I stayed the whole time. How did you decide that the harp was your instrument? I started the harp when I was seven years old. My mom is a violinist, and she was on tour in an orchestra and the harpist was practicing before a concert. I was there and she put my fingers on the harp and that was it. I said, “That’s what I want to do.” That woman became my teacher for the next 11 years. Could you give us a window into a typical work week? The schedule is pretty hectic between the symphony and the opera. We work six days a week and between three and four performances each week. We only have Monday off (except four times a year when we have opera rehearsals). I try to arrive an hour before each rehearsal, so I have time to tune and warm up before the rehearsal. Every week is a different repertoire, with up to three repertoires during the week. We may have a symphony concert and an opera rehearsal and a kiddie concert, for instance. On top of all the rehearsals I try to put in at least a couple hours of practice every day, but if I have five hours of rehearsal, it’s going to cut--physically--into my practice hours because my fingers can only take so much. How far in advance do you start rehearsal for an opera? We start the week before opening night, and we have at least five rehearsals. It’s a fast turnaround. Your husband, David Gordon, is the principal trumpet for the symphony. With your schedules, childcare must be a nightmare! Yes, writing down my nanny schedule is frighteningly hard. Does your baby daughter let you practice? she’ll turn around and watch. I can get in about 15 to 20 minutes, and I’m surprised I can get that much. I have colleagues whose kids start crying when they practice, so I count my blessings. Could you tell me a little bit about your actual instrument? I have two harps; the one I will probably play for Lucia is a golden Lyon & Healy. It belonged to my teacher at Curtis [Institute of Music], and when she passed away, both she and her husband had wanted me to have it. I’m a big fan of Tosca. Playing it or hearing it. Do some opera composers use the harp more than others? Puccini was a big harp writer. There is a lot of harp music in most of his operas. Verdi wrote some, not a huge amount. Like Lucia, Dvorák’s Rusalka is introduced with a harp cadenza. Wagner used the harp thematically, the way he used all the instruments. It’s very much associated with the Rhine Daughters. Some composers steered away from the harp; Mozart has no harp in any of his operas. What is on your music stand right now? Some chamber music for a concert in New York and my music for the symphony and the opera, including Lucia. This issue of Staff Chat will be featured in Seattle Opera's program for Lucia di Lammermoor. Look for archived Staff Chats on our WEBSITE.